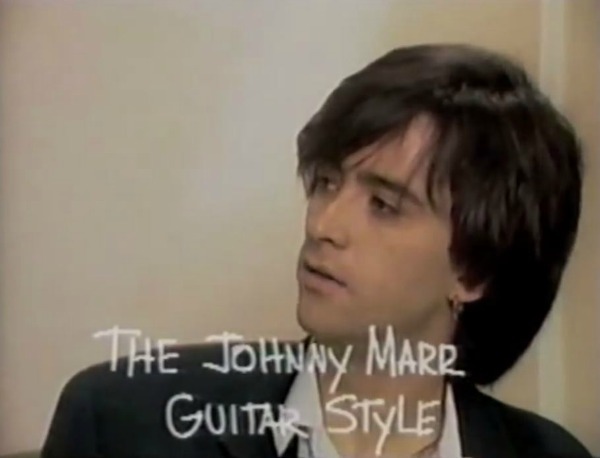 For this week’s installment of “120 Minutes” Rewind, we turn to this Kevin Seal-intro’d segment on Johnny Marr — “1987’s most controversial and most sought-after guitarist,” Seal proclaims — that aired in the months following the dissolution of The Smiths. Watch it below via uploader MrPhilrand. Marr was far and away the most compelling component of the Smiths. I love, when he was asked, were he got the idea of how to play “How Soon Is Now”, he said even I don’t know how to play like Johhny Marr plays. That’s so Zen.